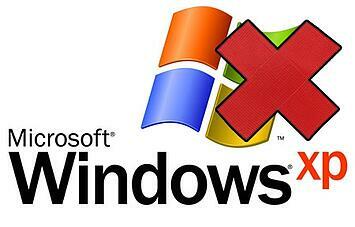 As of April 8th, 2014 Microsoft has stopped supporting Windows XP, after nearly a decade. This means that Sage has also stopped providing support for Sage CRM users on XP. Below are some helpful tips for those moving to a new(er) (supported) operating system. The first thing you need to do is make sure that your system meets the minimum requirements for the Microsoft operating system that you plan to upgrade to. You can find out how to upgrade your system to Windows 8 or Windows 7 on Microsoft's support page. Check the Sage 300 ERP 2014 Compatibility Guide to ensure your upgraded system will be compatible with Sage 300 ERP 2014. If you are a Sage CRM 7.2 or CRM Cloud user, you won’t be affected by this change as your system should already be running on Windows 7 or later to be supported. Please remember that Windows 8.1 and Internet Explorer 11 are currently not supported for on-premises CRM. Microsoft Exchange Server 2007 SP3 and higher or Exchange Server 2010 SP1 and higher is required for direct Sage CRM and MS Exchange Integration. Microsoft Exchange Server 2013 and 2010 SP3, and Microsoft Office Professional 2013 are supported from 7.2B onwards. Office 2010 and 2013 64-bit is supported for MS Exchange Integration only. Classic Outlook integration is not supported. Office 2010 32-bit is supported on Windows 8 from 7.1G onwards. Microsoft Office 365 is supported for Sage CRM Outlook Plug-in for Exchange Integration only – not Classic Outlook Integration. Sage CRM Outlook Plug-ins are supported in English, French, Dutch, Spanish, German, Chinese Simplified, Japanese, and Korean. Even though it is ideal to have a quick deployment, Microsoft will no longer release security patches for XP after April 8th, so make sure you back up and test your system before you upgrade. After your IT team has worked out all the kinks, deployment should be pretty straightforward and all computers in your network can be updated at the same time. Still not ready to upgrade? If you are still getting everything lined up before making the upgrade, there are a few things you can do to protect yourself and be better prepared. The first thing to do is make sure your firewall is functioning properly. This will keep out malicious network traffic, but be sure to use up-to-date anti-virus software. A current web browser that is compatible with CRM can be helpful as well. These suggestions will definitely increase your security in the interim, however they cannot guarantee the safety of your system. Sage 300 ERP 2014 Compatibility Guide. Upgrade from Microsoft XP to Windows 8 here. Upgrade from Microsoft XP to Windows 7 here. For more information, answers to questions or help with upgrading your current system, contact Equation Technologies today.